How to edit Microsoft Publisher files ? How to edit Microsoft Publisher(.pub) files ? Open your PUB file from application file menu. And it will appear in the screenshot as below, then program will show editor window and begin to edit your PUB. How to create Microsoft Publisher(.pub) files ? PUB Expert has same blank page size publication type with MS Publisher, such as standard paper, advertisements, binder divider tab, booklets, business cards, designed paper, E-mail, envelopes, greeting cards, mailing labels, media labels, names tag, other labels, photo paper, postcards, posters, small publications, web sites, and so on. You can directly MS Publisher document what you want. 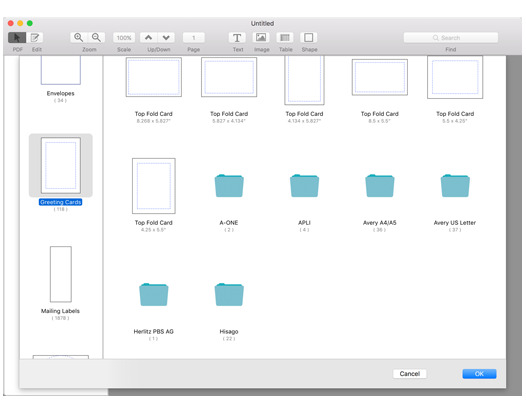 I have been looking for this kind of Microsoft Publisher App on Mac Book . It's really amazing. Great App ! 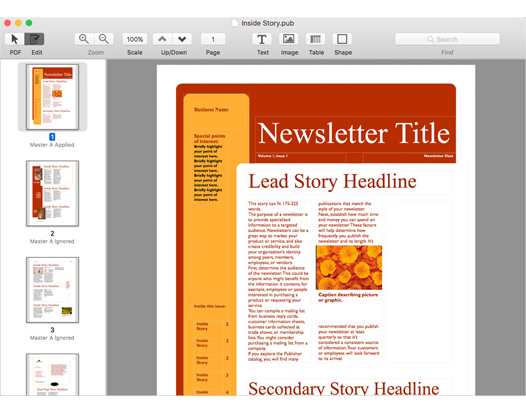 Read, edit, create, Convert Microsoft Publisher like never before on you Mac !